WASHINGTON—Going by their past rulings on federal appeals courts, GOP President Donald Trump’s four finalists to fill Justice Anthony Kennedy’s vacant U.S. Supreme Court seat will be bad news for workers, unions, women, and people of color. And one of the three, Brett Kavanaugh of the U.S. Circuit Court of Appeals for D.C., would also be bad news for any investigation of Trump’s involvement with Russian operatives in the 2016 election, his palling around with international gangsters and his creation of foreign policy designed to line his own pockets. Kavanaugh has taken the position that a sitting president can’t be indicted – or even questioned – in a criminal probe. He can only be impeached, the judge says. Trump unveiled most of his favorites to succeed Kennedy in a nationally televised speech on the evening of July 8. Besides Kavanaugh, the contenders he named were Judges Raymond Kethledge of the Cincinnati-based Sixth U.S. 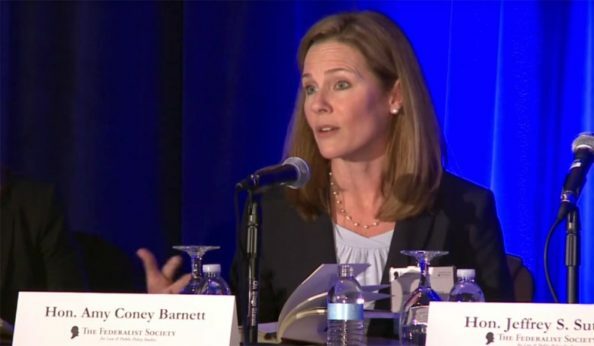 Circuit Court of Appeals and Judge Amy Barrett, a former Notre Dame University law professor who joined the Chicago-based Seventh U.S. Circuit Court of Appeals last year. 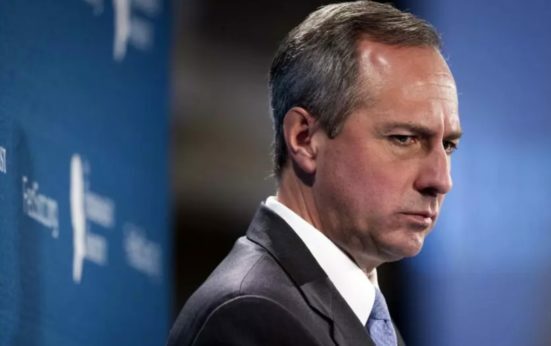 The fourth candidate, Judge Thomas Hardiman of Philadelphia, was added over the weekend at the request of Republican Senate Majority Leader Mitch McConnell, according to press reports. McConnell reportedly told the president that Hardiman would have a better chance at confirmation because of his lower profile on Roe vs. Wade. All four choices, however, have workers, women in particular, unions and their allies seriously concerned. “While an independent voice on the High Court is important, fundamentally the next Supreme Court justice must have experience advocating for working people,” Jobs With Justice said. “The Supreme Court has had far too few champions for working people,” since former Labor Secretary and CIO and Steelworkers General Counsel Arthur Goldberg left the court after only three years, in 1965, JWJ noted. Like Kavanaugh, Barrett is also known for a controversial stand on another issue: Reproductive rights. Barrett tangled with Sen. Dianne Feinstein, D-Calif., last September over reproductive choice – a key issue in Trump’s selections. Trump’s litmus test is for a judge who will overturn the Supreme Court’s 1972 Roe v Wade ruling which set up legal conditions for abortions nationwide, and Barrett’s academic writings made clear Catholicism prompts her anti-choice stand. “Dogma is not law,” Feinstein warned. But the three judges’ rulings in workers’ rights cases are bad, too, said AFL-CIO Associate General Counsel Donna Euben, who dug up the list of relevant cases for the three appellate judges Trump named just before Hardiman was added. 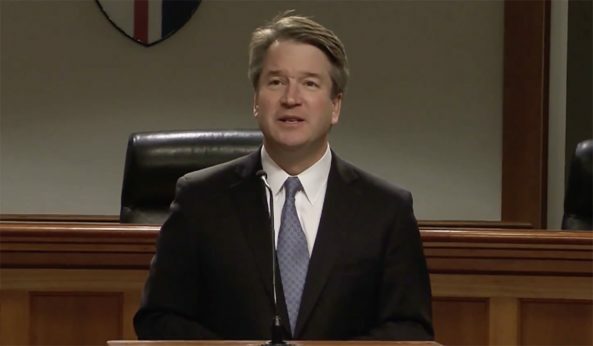 KAVANAUGH: In 2007, Kavanaugh gave the Defense Department a temporary win against its 700,000 civilian workers, represented by a union coalition led by the Government Employees (AFGE). Kavanaugh wrote the 2004 Bush-era Defense Department law that gave Bush’s DOD temporary authority, through November 2009, to curb civilian defense workers’ collective bargaining rights. AFGE and its allies later persuaded Congress to dump that authority. Dissenting Democrats, led by Sen. Edward Kennedy, D-Mass., have no weight with the courts, Kavanaugh said. “The plain language” of the 2004 law “authorizes DOD to curtail collective bargaining” for its civilian workers. The “relevant terms” of the law are “plain,” he added. And Kavanaugh also said undocumented workers can’t unionize under the National Labor Relations Act. In a 2008 case involving Agri Processor, Inc., a Brooklyn kosher meat packer, the appeals court majority said they could. The United Food and Commercial Workers won an organizing drive among all the plant’s workers – documented or not — three years before. The firm said the court should toss the vote because the undocumented workers decided it. That “ignores the (National Labor Relations) Act’s plain language” and a 1984 Supreme Court ruling, the court majority said. In 2015, Kavanaugh gave the Venetian Casino in Las Vegas one small win in a long-running battle – dating back to 1999 – with union organizers over the right to picket on a public sidewalk. The National Labor Relations Board had ruled they could, under their constitutional rights to freedom of expression and freedom to assemble peaceably. It also tossed out the casino’s claims that the sidewalk, which was temporary due to road construction, was private property. The sidewalk was on the Venetian’s land. The casino also called the cops on the demonstrators. The NLRB was silent on that. Kavanaugh ruled the U.S. Constitution protected not just the demonstrators, but the casino’s right to call the police on them. He termed it “a petition to government” protected by the First Amendment. “Where employers assert a private property right and ask the police to enforce that right against demonstrators, the employers are ‘seeking redress of wrongs committed against them.’” And that’s legal, Kavanaugh added, unless the request is a sham. Kavanaugh also said the government went too far in regulating sports and entertainment when the Occupational Safety and Health Review Commission came down hard on SeaWorld in Florida in a notorious case where a supposedly trained killer whale pulled the trainer underwater and drowned the person. The court majority’s 2014 decision, for the commission and against Sea World, “green-lights the department to regulate sports and entertainment in a way that Congress could not have conceivably intended” when it enacted the Occupational Safety and Health Act in 1970 and gave OSHA “general authority to regulate safety and health in workplaces,” Kavanaugh said. Under that logic, he added, OSHA and the commission could regulate such activities as football tackling and NASCAR races. 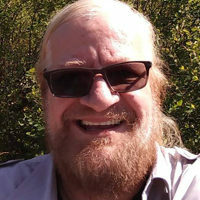 KETHLEDGE: Kethledge used a case decided on April 16, involving a church-operated buffet in Cuyahoga Falls, Ohio, to declare buffet “volunteers” – congregants pressured to work there by the pastor’s language saying God would be displeased if they didn’t – must stay unpaid. That case is particularly notable, though neither the AFL-CIO nor Kethledge said so, because several Catholic-run universities are challenging labor law’s jurisdiction over any of their workers – from professors to janitors – as interfering with freedom of religion. 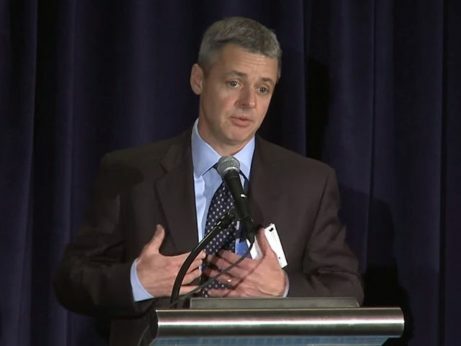 Kethledge not only “routinely rules against workers and working families,” but “regularly rejects claims of employees for relief from discrimination in the workplaces, and regularly attacks federal agencies for enforcing well-established regulations, including those that protect workers and their families. He has also ruled against voting rights,” Euben said. In early 2017, Kethledge joined the appeals court majority in greatly expanding who is a “supervisor” – and thus unprotected by labor law – in a nursing home. In 2015, for the second time in a decade, the Service Employees organized “charge nurses” in the Lakepointe Nursing Home in Michigan. It won. But the nursing home challenged the NLRB and SEIU, saying the nurses are supervisors. 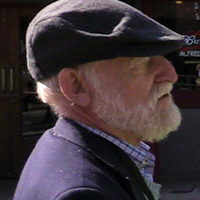 Kethledge and his colleagues sided with the nursing home. And in the process, they broadened the definition of who is a supervisor. “If the charge nurse chose to fill out a form” saying what the aide did wrong, “she would explain what the aide should have done and sign above a line marked ‘supervisor,’” without consulting anyone else, the judges wrote. That automatically made her a supervisor. BARRETT: In one of the first cases after she joined the Seventh Circuit bench, Barrett sided with a majority in that court in telling the Equal Employment Opportunity Commission it must virtually prove racial discrimination against a worker before it can bring the case to court. AutoZone transferred African-American Chicagoan Kevin Stuckey out of its store at Kedzie and Ogden Avenues so it could make the first store all-Hispanic, just like the area it serves. AutoZone sent Stuckey to a majority-African-American store near Pullman, without loss of pay or benefits, but he sued for racial discrimination. The EEOC agreed with him. The district court, and Barrett and the appeals court majority she joined, didn’t. The judges ducked the intentional discrimination issue. Instead, they said Stuckey didn’t prove his case – nor did the EEOC. 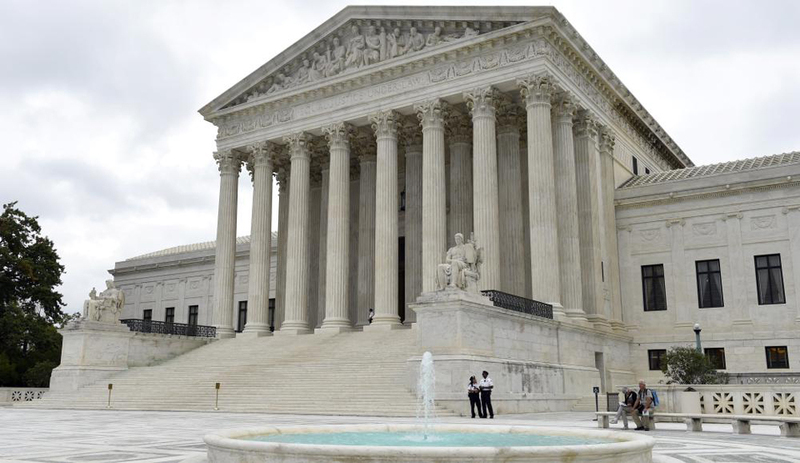 In key workers’ rights cases the court decided this year, the court tossed out precedents. The top one was the Janus case, which tossed out a 41-year-old precedent. Janus made every single state and local government worker a potential “free rider” who could use union services without paying one red cent for them. The 5-person GOP-named court majority overturned the older case, which let states order non-union workers covered by union pacts to pay “agency fees” for those services. HARDIMAN: News reports said Senate Majority Leader Mitch McConnell, R-Ken., convinced Trump to add a fourth appellate judge, Thomas Hardiman of the Philadelphia-based Third Circuit, to his list, supposedly because of Hardiman’s low profile on reproductive choice. But just weeks ago, Hardiman sided with Trump on a reproductive rights case. His ruling for the court majority let the Little Sisters of the Poor come in on Trump’s side in a pending state lawsuit challenging Trump’s executive order and rules exempting religiously affiliated institutions from the Affordable Care Act’s mandate that they offer contraceptive coverage. That case is ongoing in district court in Philadelphia. A check of 2018 cases there shows only two Hardiman rulings on workers’ rights. Both saw him vote for employers. Hardiman, writing for the court majority, sided with the Southeastern Pennsylvania Transportation Authority – Philadelphia’s mass transit system – against electrician James Boykin, an African-American, on claims of racial discrimination for rejecting his repeated applications for promotion to maintenance manager. SEPTA picked whites, instead. Hardiman said Boykin didn’t prove his case. In the other, West Chester University, a Pennsylvania state school, fired Colleen Bradley, its director of budget and financial planning, in 2015 after she blew the whistle on upper management’s conversion – twice – of university surpluses into deficits. She charged the institution, her supervisor and the state university system with retaliation. Hardiman and his colleagues sided with the university and tossed her case. They said state immunity extended to her supervisor, despite her claim the First Amendment protected her from retaliation. McConnell sees Hardiman as a win for the war against workers, a win for Republicans and as a lure for perhaps three or four Democratic senators in heavily red states who might want to cast a vote in favor of a Trump nominee. His thinking is that Sens. Susan Collins of Maine and Lisa Murkowski of Alaska could more easily back Hardiman because of his low profile on Roe vs. Wade, giving him unanimous support from Republicans, enough to confirm. That would allow a wavering Democrat or two, if there are any, to join in backing Hardiman without being blamed by their Democratic colleagues for putting the Trump choice over the top. If Murkowski and Collins go thumbs down on Hardiman, however, Democratic senators in heavily red states still could, by voting for a Trump choice, put that person over the top. The result would be a firestorm fight inside the Democratic Party which of course would please McConnell. For the Republicans, then, the thinking is that by choosing Hardiman they cannot lose. The loss, if Hardiman or any of the others is confirmed, however, will be for the American people.